Students and credit cards don’t always go well together. There are a plenty of financial pitfalls that can come with owning a credit card during your college years. Not to mention these days it’s all too easy for students to open a card and rack up insurmountable debt in record time. College campuses are often inundated with credit card companies that set up kiosks enticing students with free swag and the all too tempting promise of financial independence through one of their credit cards. Unfortunately, many students aren’t equipped to handle this type of responsibility. The result isn’t freedom, but rather a mountain of credit card debt to the tune of $3,000 to $4,000 on average per student. Graduating from school with a number like that hanging over your head can be a difficult challenge to overcome when you’re unemployed. That doesn’t even take into account the damage you’re doing to your credit rating. A high balance on a maxed out credit card is not the way you want to start your post-collegiate life because you’ve already put yourself at a disadvantage where your finances and credit are concerned. Finding an apartment will be very difficult and don’t even think of trying to get a favorable interest rate on a loan. You’ve minimized your chances of that happening for years. It is true that holding a balance on a credit card and paying it down each month will build your credit score. However, spending extravagantly and above your means is not the way to get there. You’re doing yourself an even greater disservice through the interest that will continue to accrue on that balance. Those interest charges mean that you’re paying even more than you normally would for the items you put on that credit card. That’s why it’s so important to understand what a credit card really offers and how it can affect your financial outlook going forward. In order to help college students manage their finances more effectively, many of the credit card companies offer cards that cater to the needs of students. Despite some of the risks inherent to college students owning one, there is no other alternative to building a credit history than through the use of a credit card. That makes it even more critical to select the right one. There are a few good choices out there. Some provide rewards and incentives for responsible use, others reward you for getting good grades, and there are even secured versions of name brand credit cards which require a cash deposit for collateral. That can come in handy if you fail to pay your balance and it can also provide limits to how much you are able to spend on the card. By far, the most important factors to consider when you’re selecting a credit card are things like fees and annual percentage rate (APR). Credit cards with lower rates are going to be the most beneficial for students because they will help reduce the risk of a high balance. With these options you won’t be paying high interest fees on the purchases you’re putting on the card. While you’re at it, look to see what kind of perks are offered with available cards. Those perks can be anything from fraud protection and access to your credit score to concierge service and VIP access to concerts and sporting events. Now that you know what you’re looking for, check out our list of the 10 best credit cards for college students. This is one of the best cards for students because Discover welcomes co-signer agreements and offers a good rewards program that will let you earn anywhere from 1% to 1.5% cash back on qualifying purchases. Additionally, the It card can also be a lenient option for first-time cardholders with a 0% introductory APR, no penalty APR (which can be triggered if you pay late on other cards), and they’ll even waive your first late payment. The card will also reward you for getting good grades in the form of an additional $20 cash back for every year you maintain a 3.0 GPA in school. There is one major drawback with the It card in that Discover is not as widely accepted as other cards like Visa or MasterCard. Fees: $0 annual fee. No foreign transaction fees. Perks: The Discover It card for students gives you unlimited free access to your FICO score and they have some of the best customer service in the industry. They also offer $0 fraud liability. This way, if someone else makes fraudulent charges on the card, you’re not held responsible for them. Drawbacks: The cash back rewards categories are rotating, so you won’t earn that 1%-1.5% on the same purchases at all times. You’ll need to be savvy about which categories are eligible at any given time in order to get the most rewards. The Journey card from Capital One is a good fit for students who want a strong cash back rewards program and don’t mind paying a small fee for the privilege. You can earn up to 1% cash back on everything you buy. Plus, you don’t need to worry about rotating categories or spending limits, either. Besides rewarding you for spending on the card, Capital One rewards you for making your payments on time as well. As long as you make the minimum payment each month, the company will give you 0.25% cash back on every purchase made during that billing period. Not bad for your first credit card. Unfortunately, the biggest drawback here is the APR. Capital One doesn’t offer an introductory rate and the APR is high, regardless of your credit. APR: Variable APR of 20.24% No penalty APR. Fees: $0 annual fee. No foreign transaction or balance transfer fees. Late payments will cost you $35. $10 or 3% of the transaction on cash advances. Perks: You do need to be careful with the main perk that they offer – an increase in your credit line after five months of payments being made on time. That can lead to trouble for first-timers. It also comes with the Capital One Credit Tracker Feature which is a good educational tool for learning how to manage your finances. Drawbacks: The APR is very high. This MasterCard from Barclaycard offers excellent cash back rewards choices where you can earn up to 5% on purchases made at over 10,000 retailers and restaurants who have partnered with Upromise. Even better is the fact that the rewards aren’t exclusive to Upromise. You can earn up to 1% back on any purchase with 2% cash back available on transactions made at department stores and movie theaters. However, to get the most out of the rewards program, you want that maximum 5% reward. That means you will need to sign up with Upromise to earn and redeem those rewards. In addition, you get a bonus for signing up. APR: Variable APR of 14.24%-23.24%. 0% Introductory APR on balance transfers only up to 15 months. Fees: $0 annual fee. $5 or 3% balance transfer fee and $37 late payment fees. Perks: After you begin earning your cash back rewards, they are redeemable in variety of ways including credit towards your bill or student loans or you can deposit your money into a savings account or 529 plan. For redemptions of $10 or more, you can also receive a check by mail. Drawbacks: The two biggest drawbacks here are the lack of an introductory APR and you’re going to need a high credit score to get approved. The card that thanks you for swiping it at any number of establishments now comes in a version that is tailor-made for students who live an active lifestyle. Citi offers an attractive sign-up bonus and a flexible rewards program that lets you earn points based on how much money you spend each month. Two Thank You Points are earned for every $1 spent at restaurants and on entertainment expenses. Every other purchase is one point for $1. You can redeem your points for any number of things including gift cards, online purchases, travel expenses or apply it to your statement each month. There is a 0% introductory APR but it only lasts for seven months. APR: Variable APR of 14.24%-24.24%. 0% Introductory APR for seven months. Fees: $0 annual fee. $5 or 4% balance transfer fee, whichever is greater. Late payments are assessed a $35 fee and foreign transactions will run you a 3% fee. Perks: Sign up and receive 2,500 Thank You points after spending $500 within the first three months of card ownership. You also get access to Citi’s Private Pass Program which offers access to tickets for events before the general public and VIP access to the same events through the concierge service. Drawbacks: The short introductory APR leads to a high rate after the initial period. There are fees for pretty much everything, except an annual fee. 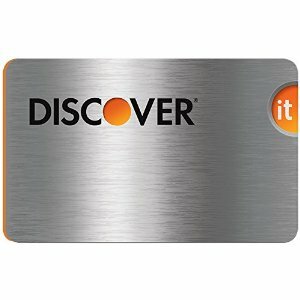 Everything that’s great about the Discover It card at the top of the list can be found with the company’s Chrome version, albeit with a few additional perks and features. The biggest difference is in the cash back rewards arrangement on the Chrome as purchases made at restaurants and gas stations will earn you 2% back at a limit of up to $1,000 per quarter. Go beyond that and the rewards decrease to 1% unlimited. Everything else will get you the typical 1% cash back no matter what you buy. Redeeming your rewards offers a few choices in the way you can receive your money. APR: Variable APR of 13.24%-22.24%. 0% Introductory APR on purchases for 6 months and 10.99% on balance transfers. Perks: Pretty much everything that comes with the Discover It for students, including that cash back reward for maintaining a 3.0 GPA each year. Drawbacks: The spending limit is kind of a drag, but if you’re spending more than $1,000 on dining out and filling up every three months you could be overspending. The first of three secured credit card options on our list, the US Bank secured Visa comes with a small annual fee and requires a security deposit of anywhere from $300 to $5,000. This money is held in an interest bearing savings account so you need not worry about your money sitting stagnant for the life of the card. Secured cards are a good way to build up credit and this one reports to all three credit bureaus. Another advantage with this Visa is that you could be given the opportunity to convert it to an unsecured card after demonstrating a period of responsible use. APR: 19.24% APR on purchases and balance transfers, no introductory period included. Fees: $29 annual fee. $5 or 3% balance transfer fee, whichever is greater. $10 or 4% on foreign transactions and cash advance transactions. Perks: Standard fraud and zero liability protection, rental car insurance coverage, and flexible payment date options to make it easier to meet you monthly payments. Drawbacks: Nothing that isn’t to be expected, such as the annual fee which is lower than many other similar credit card options. Just like with the US Bank Visa above on our list, this secured credit card requires a cash deposit to be put on hold as a form of collateral. You will be asked to put down between $49 and $200 which will provide you with a credit limit in the $200 – $3,000 range based on your credit. The more money you deposit, then the more of a credit line Capital One will give you. That deposit will be held in the event you miss a payment at which point you will lose that money if it’s needed to cover your unpaid bill. The APR on this card isn’t favorable, but that cost is offset with no annual fees or foreign transaction costs. APR: 24.99% APR on purchases and balance transfers. No introductory APR period. Fees: $0 annual fee. Cash advances fees of $10 or 3% of the advanced amount. Late payments cost $35 each. Perks: This card is well-suited for students with poor or average credit and it comes with the typical fraud protections in addition to Capital One’s Credit Tracker service. Drawbacks: Common to these types of cards, the APR is very high. As with the other secured cards on our list, you’ll find similar benefits with this MasterCard offering from Citi. You’ll need to deposit anywhere from $200 to $5,000 as a collateral deposit, but in this case the amount you put down is the extent of your credit limit. Therefore, if you put down $1,500 as deposit, that’s how much you will be able to spend. However, after an 18 month period Citi could decide you have been demonstrating reliable payment practices and return your deposit while allowing you to continue using the credit card in an unsecured capacity. This is a card that really works for students who don’t have good credit, giving you a chance to prove yourself a reliable and responsible cardholder. However, in order to gain that trust, you’ll have to pay for the privilege in the form of an annual fee and a high APR. APR: Variable APR of 22.24% on purchases and transfers. They will assess you a penalty APR that jumps to 29.99% if you miss a payment. Fees: $25 annual fee. $10 or 3% balance transfer fee. Late payment fee of $35. Cash advance fee of $10 or 5%. There are more. Perks: You don’t need great credit to get this card and you get the same Citi perks as the Thank You card above. Drawbacks: There isn’t much you can do with a secured card where APR’s and fees are concerned. Unfortunately, you’re getting the worst of it in both instances with this card. The Simplicity card is amazing for students looking for a low-interest alternative because you get a 21 month introductory APR. That’s nearly two years of 0% interest on purchases. You also won’t pay an annual fee, no late fees, and, should you miss a payment, Citi won’t impose a penalty APR on you either. Once the introductory rate expires, it doesn’t jump much higher than the industry standard on most other cards and if you have good credit your rate will be lower than most. However, students who have a solid credit history may be better suited for this card as Citi prefers a high FICO score for approvals. Perks: The Simplicity card provides free credit report and FICO score access so you can stay on top of your credit and catch any inconsistencies or errors before they make a negative impact on your report. Drawbacks: If you’re looking for a card with a cash back rewards program you’re going to want to look elsewhere. You are also prohibited from transferring a balance onto the card from another Citi account. This Visa from Bank of America also offers a lengthy 0% introductory APR with an even lower rate than the Simplicity after that initial period expires, subject to your credit score of course. There is no annual fee here either which should help students manage the use of their first credit card. When you get this Visa you’re also getting many of the beneficial perks that come with owning a credit card from the company, such as fraud protection and zero liability protection. It’s a good card for students who don’t want the hassle of dealing with high interest rates. APR: 11.24%-21.24% variable APR after a 0% introductory period on purchases and balance transfers for 18 months. Perks: One of the great features of most Visa cards is the zero liability fraud protection that comes with ownership. So you won’t be on the hook for fraudulent charges made by other parties on your card. Drawbacks: Although the card offers great rates and no annual fee, there no cash back rewards program with this Visa. In an effort to reduce the amount of credit card debt incurred by students, the Credit Card Act of 2009 was enacted to establish some ground rules in order to qualify for a credit card. The first is an age requirement where any prospective applicants must be between the ages of 18 and 21 to apply. If you meet the age restriction, you must then prove one of two things: you have a party willing to co-sign your application, which can come in the form of a parent, a guardian, a spouse, or any other adult over the age of 21 OR you can submit proof of an income along with a financial history that demonstrates you have a job that provides a part-time or full-time income sufficient enough to cover your monthly balance on the card. The former arrangement is necessary if you do not have a strong enough income or credit history. However, a co-signer might prove beneficial to you because their good credit can help you get a card that will provide good rates and allow you to build your own credit history. This way you won’t need a co-signer in the future. It’s a good way to learn about financial responsibility and, since both party’s credit histories will be affected, you and your co-signer can each benefit from smart credit card responsibility. Of course, there are significant risks for the co-signer should you fail to use the card responsibly as their credit can be negatively impacted along with your own and they will be on the hook for any unpaid balances.